USF Information Technology Communications’ Virtual Private Network (VPN) is more robust and comprehensive than the proxy options, providing umbrella authentication for all browsers and USF-subscribed resources. 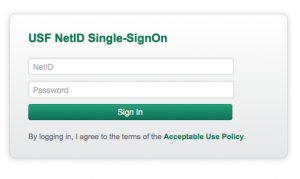 Some specialized and advanced databases require this mode of authentication. 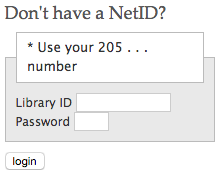 Log in with your 205… number. This is the 14 digit number beginning with 205 . . . on your USF ID card or library card. Your password is your birth month and birth day (MMDD – e.g. enter 0205 for February 5th). Make sure you are a currently enrolled student, or active faculty/staff member. Students who have graduated or are not enrolled will not be permitted access. Third-party Internet security software such as McAfee Personal Firewall or Norton Internet Security should be disabled. Contact the USF Tampa Library Services Desk at (813) 974-2729 if your access is granted and you still cannot get into a resource to use it. For help with myUSF, NetID, or proxy settings contact the IT Help Desk at (813) 974-1222 or 1-866-974-1222 (Florida toll-free).